The so-called "Atlanta plan" that envisages the ousting of left-leaning politicians across Latin America is seemingly taking shape on the continent, former Vice President of Uruguay Raul Sendic told Sputnik in an exclusive interview, bemoaning the recent rise of ultra-right forces across the globe. MOSCOW (Sputnik) - The recent statement of Turkish President Recep Tayyip Erdogan on Turkey’s interest in joining the BRICS association was made in response to the EU and US harsh criticism of its rule of law and democratic principles' violations in the country, experts told Sputnik. MOSCOW (Sputnik) - Turkish President Recep Tayyip Erdogan has called on BRICS leaders to take the necessary steps so that Turkey may join the association, the newspaper Hurriyet reported. The BRICS summit in Johannesburg has brought the leaders of the group together to discuss various global issues that the world faces today. The meeting is taking place against the background of the so called “trade wars” started by the US. 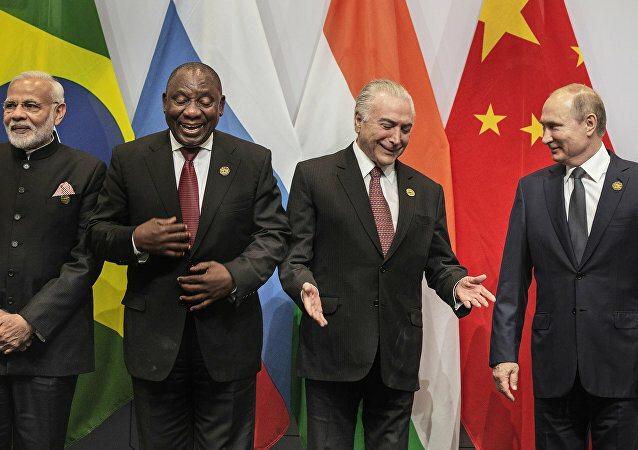 The BRICS nations have signed a joint declaration underlining the importance of an open world economy. 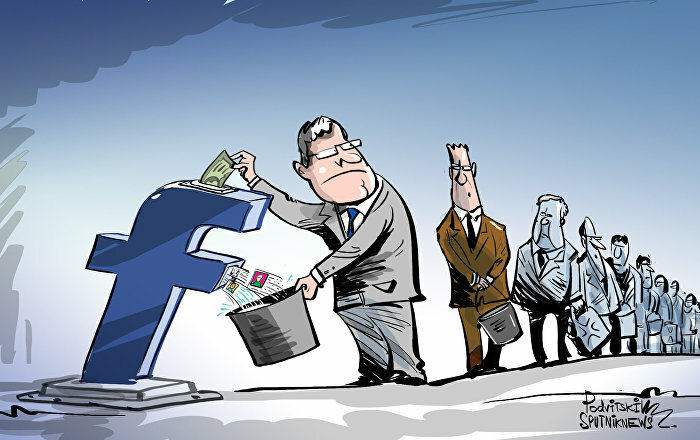 The declaration states that all countries benefit from globalization. Radio Sputnik discussed the declaration with Srikanth Kondapalli, a professor in Chinese studies at Jawaharlal Nehru University in New Delhi, India. 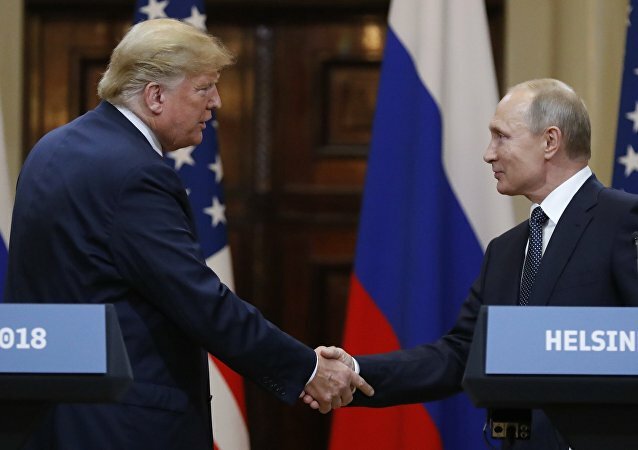 WASHINGTON (Sputnik) - US President Donald Trump would be interested in visiting Russia if he received an invitation, but in the meantime, looks forward to having Russian President Vladimir Putin at the White House sometime after January 1, 2019, White House spokesperson Sarah Huckabee Sanders said in a statement on Friday. From festive participants of a Belgian festival and the world's Santa Claus meetup in Denmark to protesters burning flares and effigies in Asia, Sputnik has collected a patchy mosaic of this past week's most interesting events. 'By Helping Each Other BRICS Nations Could Diversify Their Economies' – Prof. 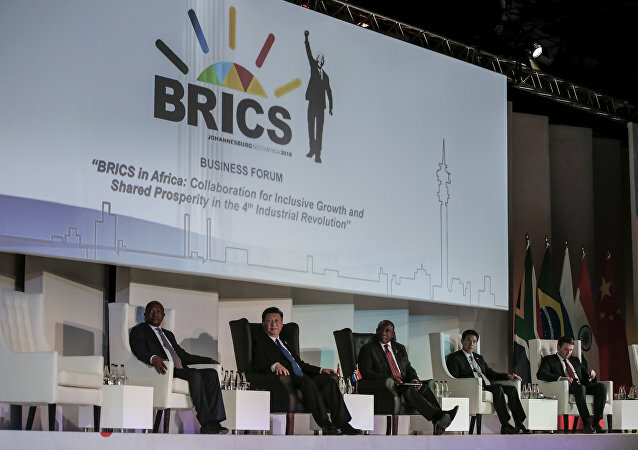 The tenth annual BRICS summit gathered the leaders of the bloc’s emerging economies in the city of Johannesburg, South Africa for a three-day event. Speaking at the summit on Wednesday, Chinese leader Xi Jinping said 'no one will emerge as a winner’ in a trade war. While the press focuses on important agreements and the political and economic deals made at the BRICS summit, one inquisitive journalist turned his attention to the nourishment provided to the parties involved. 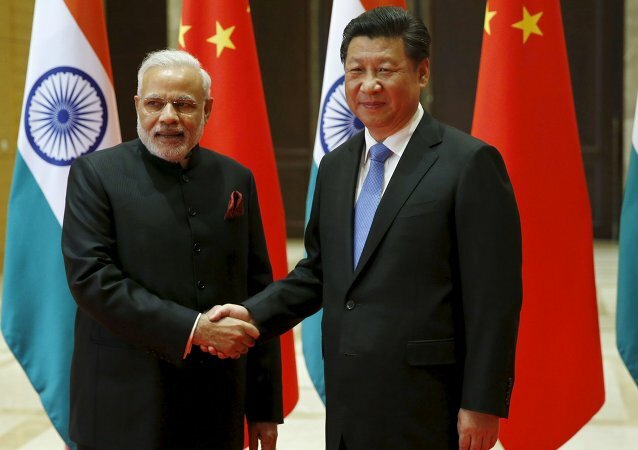 Indian Prime Minister Narendra Modi held a meeting with Chinese President Xi Jinping on the sidelines of the BRICS summit currently underway in South Africa for the third time this year in order to discuss bilateral relations. Professor Swarn Singh of New Delhi's Jawaharlal Nehru University (JNU) said that the BRICS’ potency as an alternative global governance system can be established if trade between these countries is strengthened in the face of the US tariff war and if its members find innovative ways to strengthen credibility at home and abroad. Argentina may join BRICS in a long term perspective if it is ready to fulfill all the obligations provided by this integration association, the speaker of the upper house of the Russian parliament said Wednesday. BRICS is one of the most effective integration platforms in the world continuing to strengthen its influence, Valentina Matvienko, the speaker of the upper house of the Russian parliament, told Sputnik. BRICS countries are interested in the inter-parliamentary cooperation that could develop through annual forums or assemblies or working groups on specific areas of cooperation, Valentina Matvienko, the speaker of the upper house of the Russian parliament, told Sputnik. Prime Minister Narendra Modi, who will head the Indian delegation at the G20 Summit in Turkey, will take part in an informal meeting of BRICS leaders on the sidelines of the gathering, Indian Sherpa for the G20 Summit Arvind Panagariya said Tuesday. Delegation of Russian Federation Council headed by its speaker Valentina Matvienko is expected to visit Brazil, Federation Council's press service said in a statement on Tuesday. The fifth meeting of heath ministers of the BRICS countries will take place in Moscow on Friday. Scientific mega-installations are projects that require the efforts and resources of more than one country to implement. Russia is currently planning to set up five mega-installations on its territory. BRICS countries stand for the boosting of the United Nation's key role in global affairs and oppose any attempts to solve problems by exerting power or pressure, including by the use of unilateral sanctions, Russian Foreign Minister Sergei Lavrov said Tuesday. On 26–28 October, Four Moscow universities – Moscow State Institute of International Relations (MGIMO), Moscow State University (MGU), Peoples' Friendship University of Russia (RUDN), and National University of Science and Technology (MISiS) – will host the BRICS Global University Summit.